This month they went for a grey bag, nice to see it change up. The back of that card shows the four items you receive, a bit about them, where you can buy them, and what a full size version will cost you. 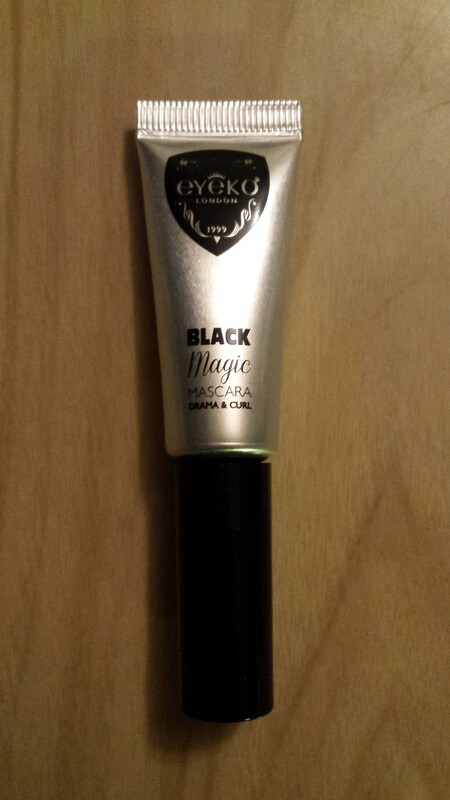 This is why I have issues with this subscription…….this is the third time I have received this mascara. Now that I’m over the disappointment of a repeat item, I do like this mascara. I do not need anymore mascara right now but it is a curling one and black, which kind of checks all the boxes I look for in a mascara. I love this brand and only ever have it when it comes in one of my boxes so this makes up for the mascara above. 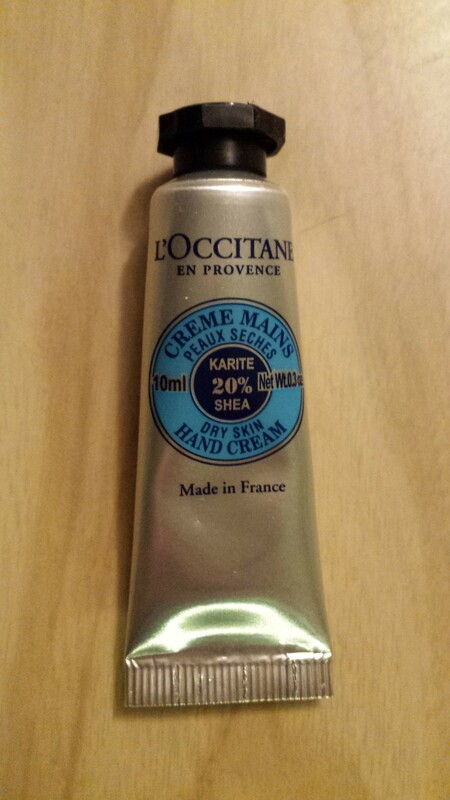 This is just their basic hand cream and it is slightly scented. In fact it almost smells a bit like baby powder. 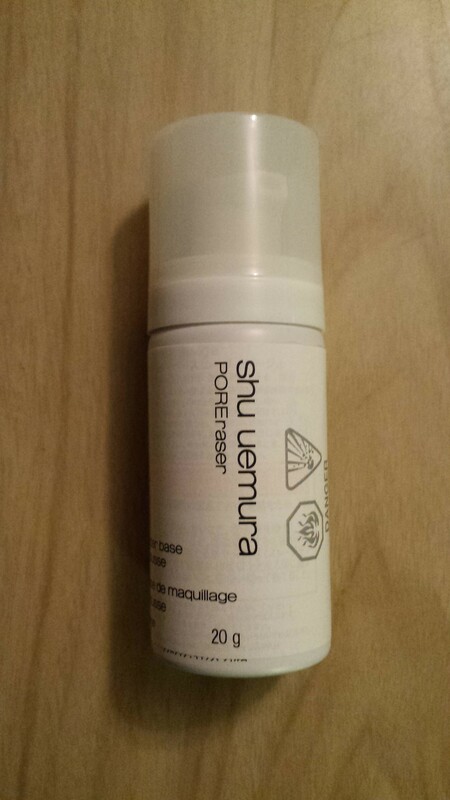 It is 20% shea butter and made for dry skin. Saskatchewan in January equals dry skin so yay!!! Okay longest product title ever. I love primer, it’s become something I can’t live without so that’s good. 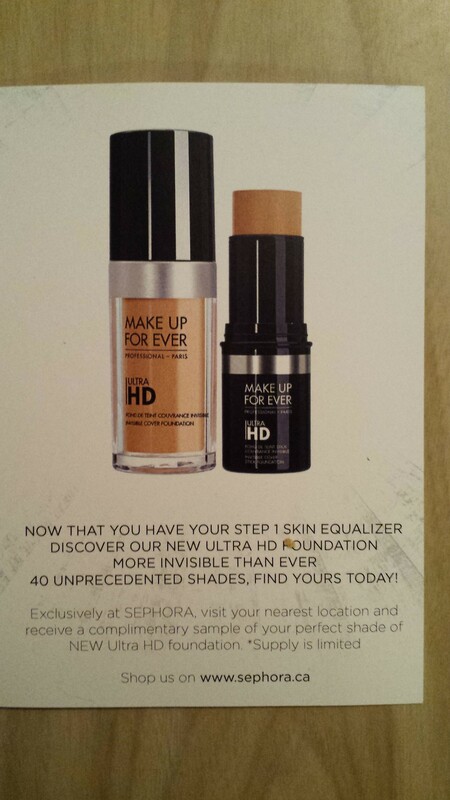 They also included a card letting you know you can get a free sample of the foundation to match from Sephora right now. 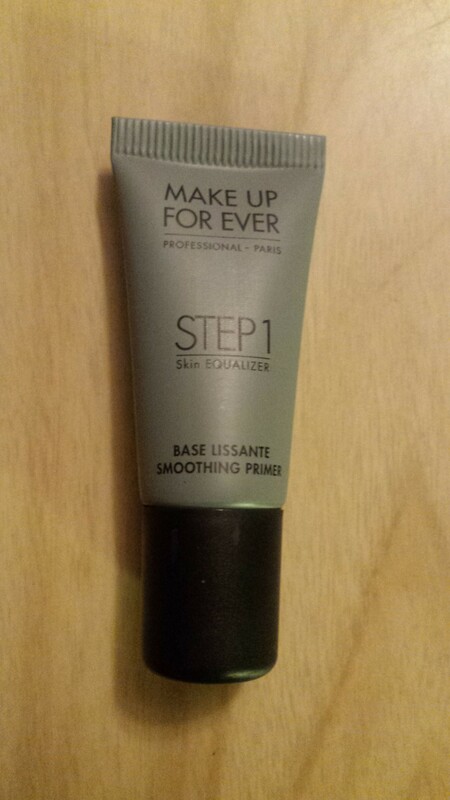 This primer has just a hint of a tint, which is good too. Love it! 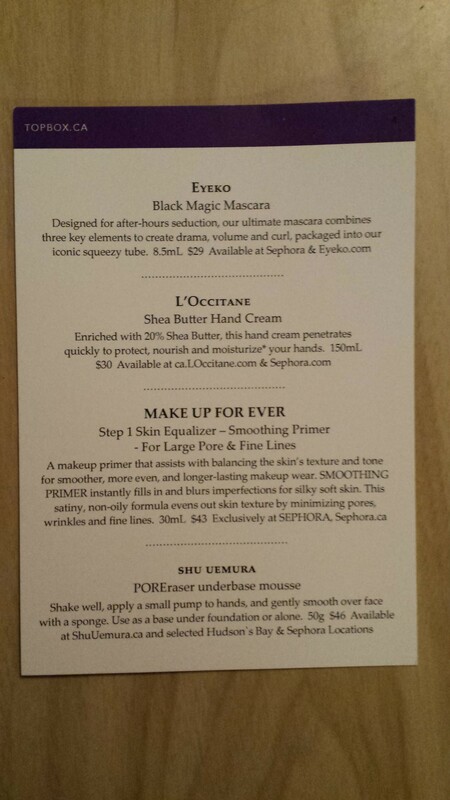 This is also a kinda primer item. It really is a mousse and it’s going to take me a few tries to figure it out since it blobbed out on me. It does give an illusion of porelessness(which I don’t believe is a word but is working for me) and evened out some skin tone issues too. This month’s box has a value of $41.22. This is why I had stopped getting this box last time. I was getting so many doubles and similar items from month to month that I was annoyed. The only good thing is that since they only do month to month subscriptions I can cancel this without any hassle if it keeps up. As I mentioned above I like that it’s a Canadian box and that it’s really reasonably priced but it is not always varied. 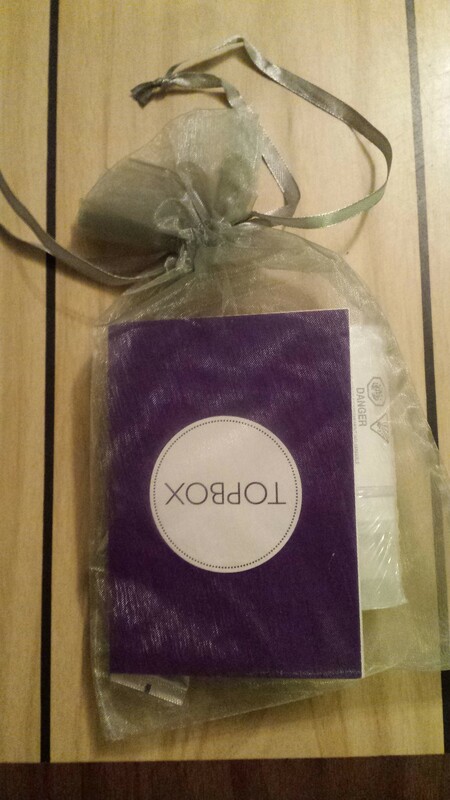 If you are interested in getting your own Topbox send me a message and I can give you a link or you can visit them here.